Our Dreams. Our Aspirations. Our Boys. It is compulsory to attend and it should end at about 11am. Let's celebrate together with our Boys as they are becoming another year older, and who are a very important part of BB27! Happy birthday! May God's blessings be with you wherever you go! We hope that everyone will be there, to honor God in our services and to witness the enrolment of new Secondary One Boys. 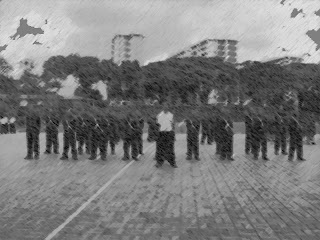 Boys, do take note that there will be a final rehearsal on this coming Saturday, 27 March 2010. God bless & See you soon! Drill Camp 2010 is finally here again! This camp is to be attended by all Sec 2 to Sec 5 BB boys. To Note: Remember to polish all your equipment before coming. Handheld games (like PSP, Nintendo, etc) and playing cards are not allowed. See you guys at camp! The BB Week aims to solicit funding for our programme activities for our members. It is a month long fund raising campaign that engages our stakeholders to contribute towards developing youths in Singapore. To enable companies to have sufficient time for planning, the BB Week 2010 will be held from Sunday 7 March 2010 to Sunday 4 April 2010. Please note that no collections are to commence before 7 March 2010. So do your part and contribute today! Click HERE for more information about BB Week 2010! Click here to find out more about BB27! Welcome to the NEW Official Website of the Boys' Brigade 27th Singapore Company! BB Week 2010 has commenced and will continue from 7 March to 4 April 2010! Please state your name before tagging. Planet BB — Boys’ Brigade Book! Order now for Spring 2010 Release!